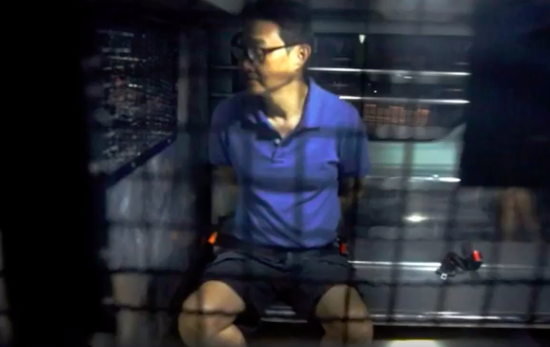 Thirteen months were added to Chew Eng Han’s jail term because of his thwarted attempt to flee the country in February of last year, as well as the charge of attempting to defeat justice. The former leader of City Harvest Church was jailed for taking part in the misappropriation of S$50 million in church funds. In April 2017, Chew’s original sentence of six-years was shortened to three years and four months by the High Court. Chew has served nearly one year of his sentence. Authorities placed Chew in their custody on February 22, 2018. The day before, the former church leader tried to leave Singapore in a Sampan but was promptly arrested when the crew commander on a Police Coast Guard vessel grew suspicious when Chew did not pay attention when shouted at. After having received permission to spend Chinese New Year with his family early in February, Chew was captured at sea on February 21 and then charged with trying to avoid serving his sentence and attempting to leave Singapore for Malaysia unlawfully at an unauthorized point of departure, the Pulau Ubin Jetty. Last month, District Judge Victor Yeo found Chew guilty and did not accept his lawyer’s argument that Chew was put in custody too early, without having actually committed a crime yet. Adrian Wee of Characterist LLC represented Chew in court. An additional S$2,000 could have been charged to Chew for his attempt to leave the country. As for the charge of attempting to defeat justice, Chew could have received jail time of as much as seven years, as well as a fine. The other people who were involved in Chew’s escape attempt received their jail sentences last year. Tan Poh Teck, a fish farm owner and boatman, who received a 27-week jail sentence for trying to help Chew leave the country. Malaysians Khoo Kea Leng, a freelance diver, and Tan Kim Ho, a private tour guide, were sentenced to six months in jail for their part in aiding Chew flee Singapore. Read related: Pastor Kong Hee Played-Out By Chew Eng Han? Pastor Kong Hee Played-Out By Chew Eng Han?